Diecutting Punches – Cup – AmeriKen Online! Made of solid bar stock, AmeriKen Cup Punches are used primarily for score cutting. 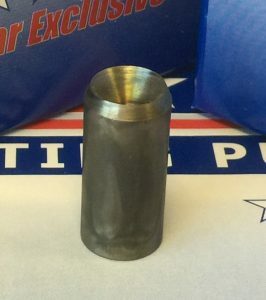 The cup punch is generally used for diecutting materials with a thickness of less than .015, however, it can be used for cutting thicker compressible materials, where removal of the slug is not critical. Because the cup punch is a solid punch it is very strong and will perform effectively for extended production operations without damage. Standard height: .937, Other sizes available on request. High carbon tool steel vacuum hardened.